Telling the world I was writing a novel kept me on track while I finished my first draft. I may have written 100,000 words, but that was an accomplishment, not a novel. Ray Bradbury said I should be the most sublime fool God ever turned out and sent rambling. No problem. I had the fool part covered, and rambling is a first draft good thing. My first novel Breathing Room is about taking chances, being open to love and the enduring power of friendship. It’s also about greed and lies, family secrets and old rivalries. Mia finds she has roots in a community where her family’s connections include her as the next generation. I wanted to set the novel in a town with a sense of place, where the past is still alive. 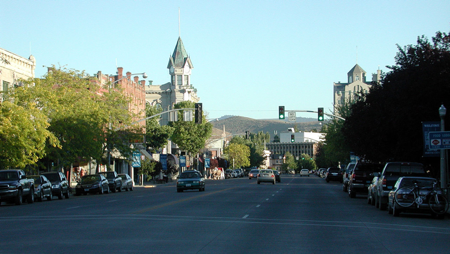 Baker City, Oregon was ideal. The fictional Owen family came to Baker at the beginning of the 20th century. 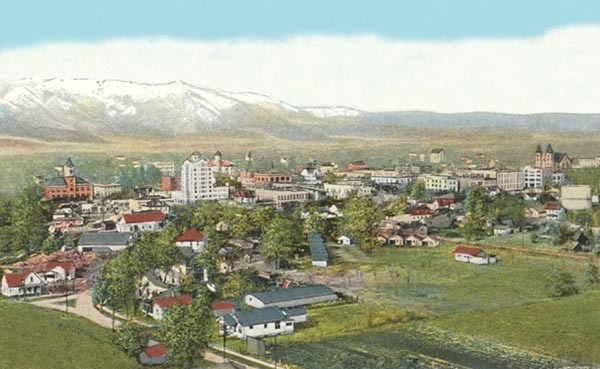 A postcard shows the town in 1918. The Owen Short Hills Ranch is located in the foothills of the Elkhorn mountains, part of the Blue Mountains west of Baker. In its heyday, the Owen family raised cattle and grew their own feed, fruits and vegetables. Mia’s grandfather also purchased property in town and adjacent acreage. When Mia arrives the ranch house and property have been neglected. Her aunt has been living there and the responsibilities have overwhelmed her. Julia’s in bad health but vehemently refuses Mia’s help and wants her to leave. Unfortunately Mia’s apartment was destroyed in a fire and she has no place to live. Mia discovers she has roots in Baker, people knew her grandparents and mother. A neighbor’s acceptance helps her realize that she’s part of a continuum that began at the beginning of the 20thcentury and continues to include her and her daughter.